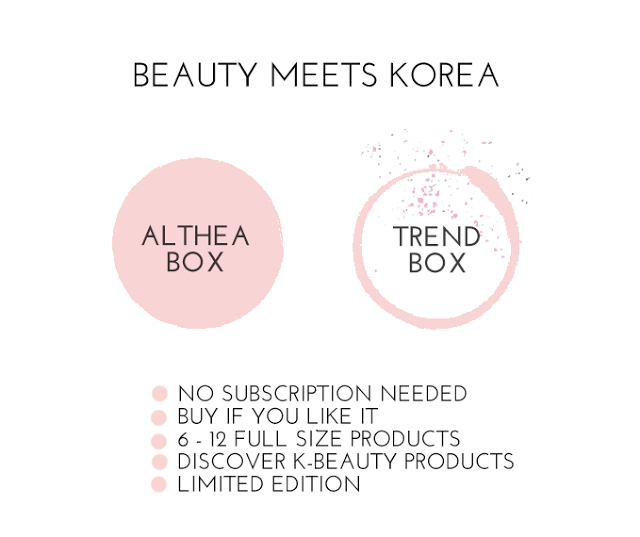 Two types of Althea boxes are released by the fairy team every month. 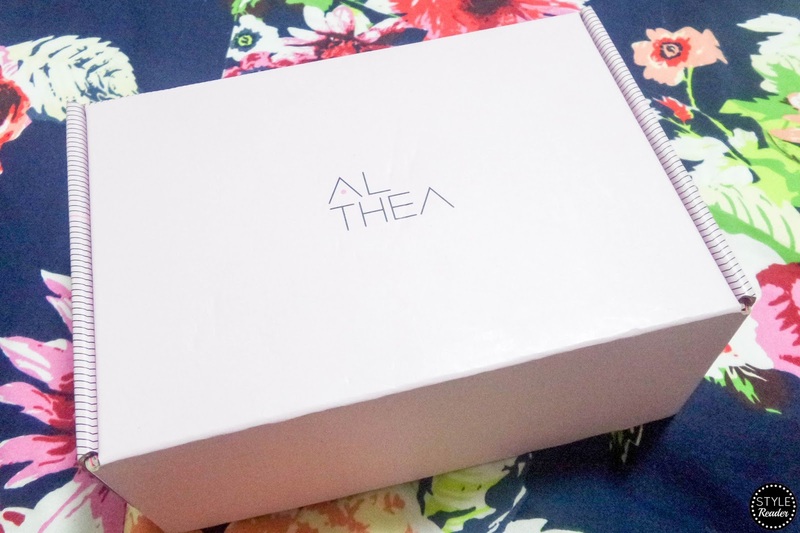 One is the regular Althea box which is based on specific themes, giving beauty addicts a chance to get their hands on a mixed of loved and new favorites. 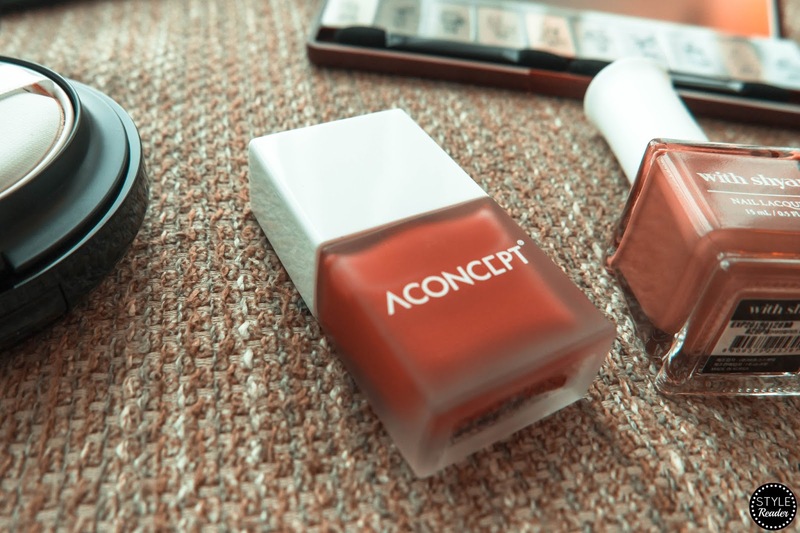 The other one is a Trend box which is packed with hottest products based on the Korean beauty trend. When you purchase a box, you can enjoy at least 5-12 full-size products depending on the theme and value. The best part is there's #NoStringsAttached! It's not a subscription which you need to consistently pay monthly, quarterly, or annually. But you have to get it as soon as you can before the stocks run out. Let's get it on, shall we? It's time to share with you all Althea's Dried Box! Inspired by the beauty of a rose, the shades of each product will remind you of its class and timelessness. 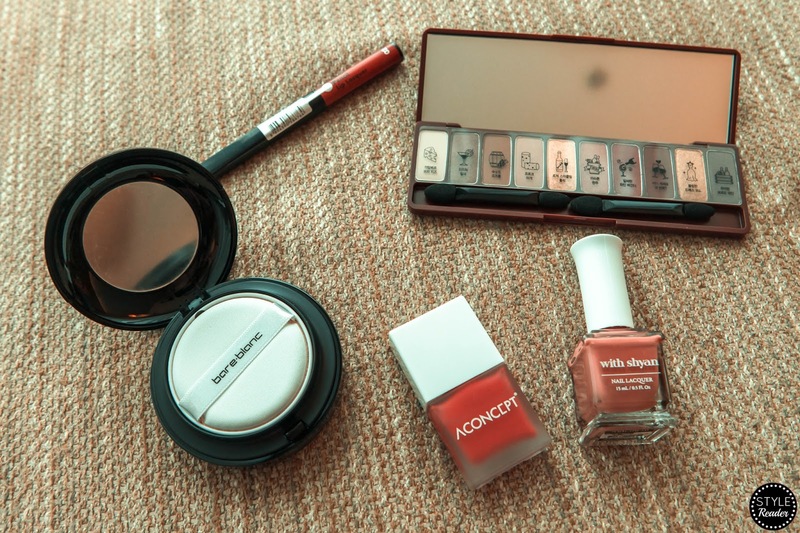 It includes products from Bareblanc, Etude House, A: Concept, Aritaum, and With Shyan. 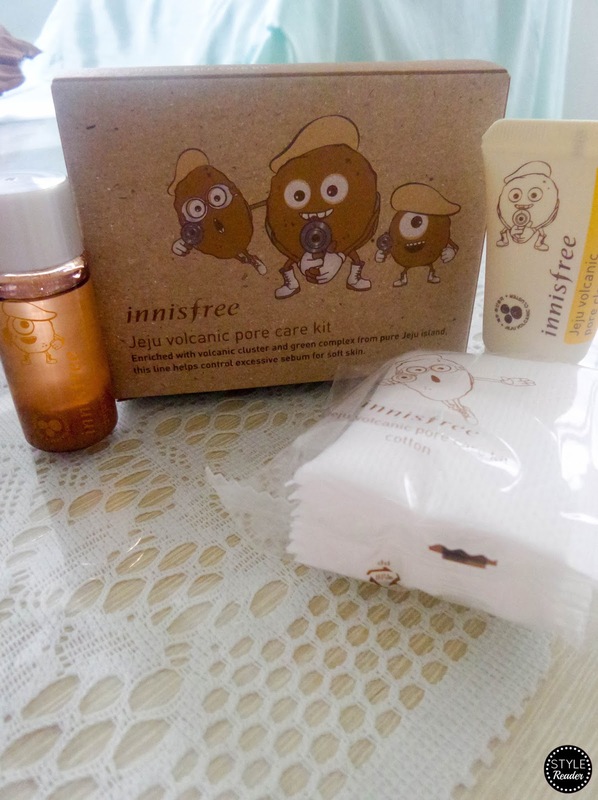 Plus, don't forget the free gift from Innisfree. For only Php 1,330 (with the original price of Php 4,810), you can definitely enjoy these beauty wonders. It was my first time to get a box and boy, I was in a daze. It reminds me of fall colors and I can't wait to celebrate with it during the holiday season. 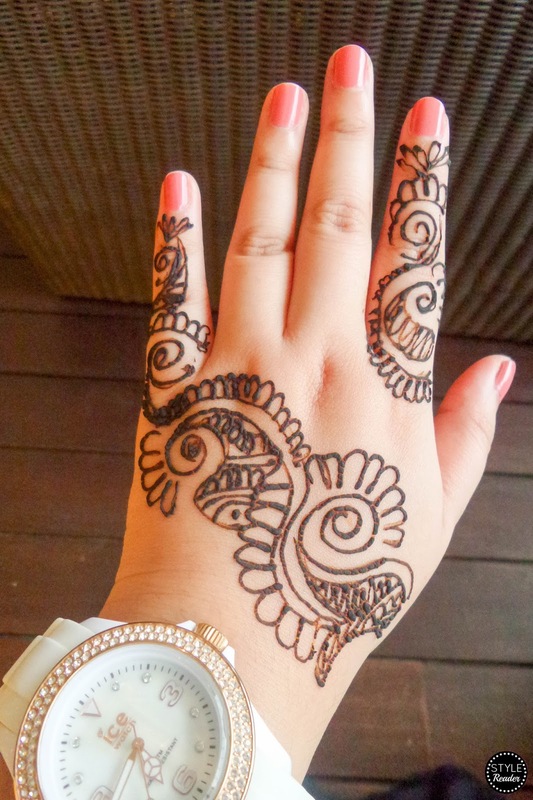 I brought this on my trip to Bangkok for a wedding and I'm excited to show you the items up close. It's a moisturizing foundation that contains water capsules that lock in a smooth finish all day. 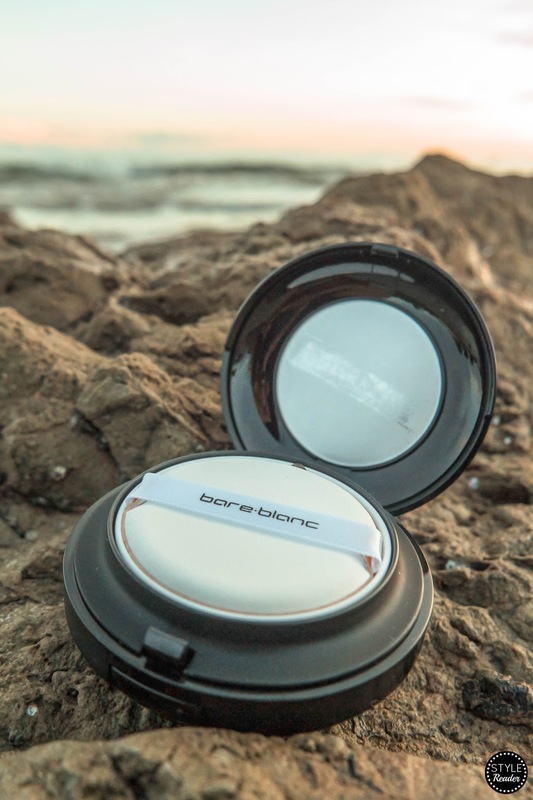 It has an anti-aging, brightening, and 3-in-1 UV protection formula that makes it safe to be worn every day. For best results, make sure to apply it in the following order: cheeks, forehead, chin, then nose. It's a good technique to try to achieve maximum coverage. The product is sealed which assures you that it's new and never been opened. 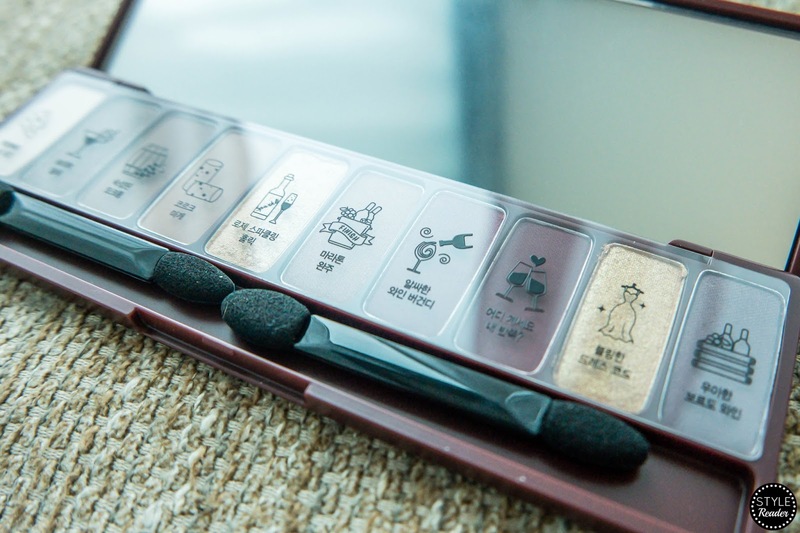 It comes with a really soft sponge and a built-in mirror inside the compact. 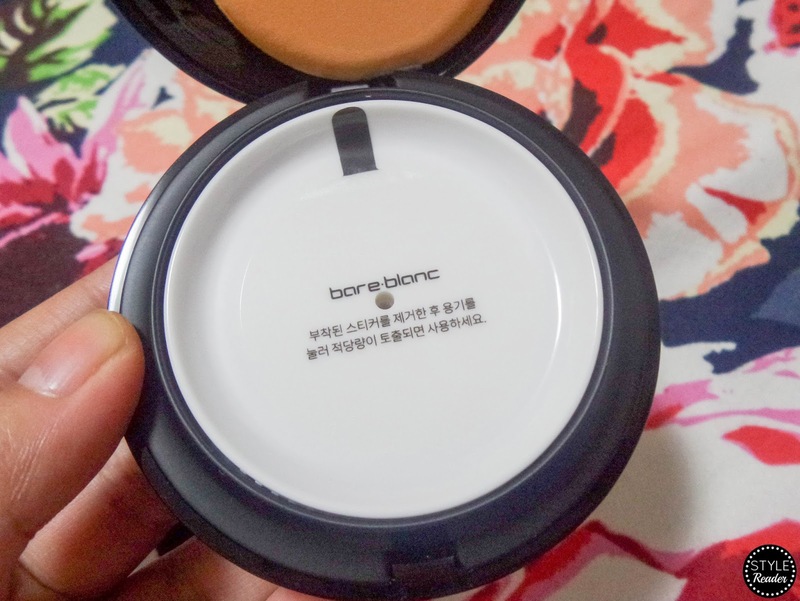 To get the product, you just have to press the white plate and some of the foundation will come out. I recommend to press it bit by bit to get just enough product and leave no excess. 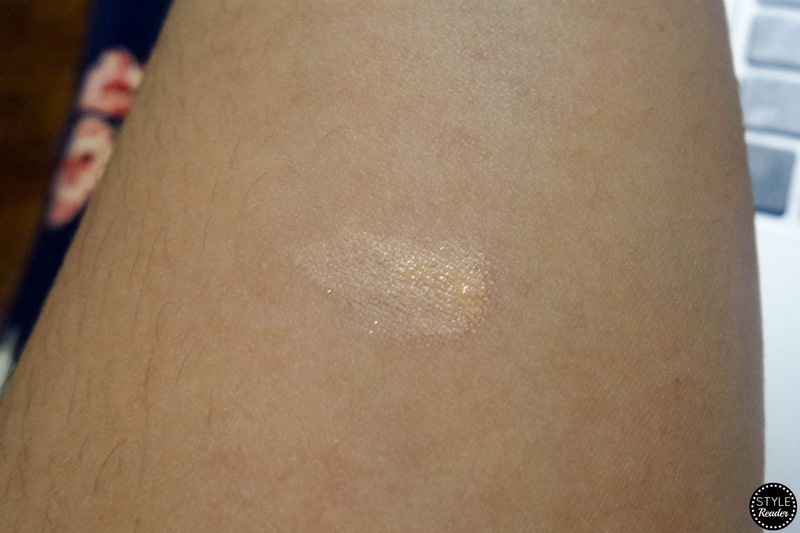 As you can see, the color is just right for my skin tone and it's not as thick as other foundations. It's very light and not heavy on the skin. 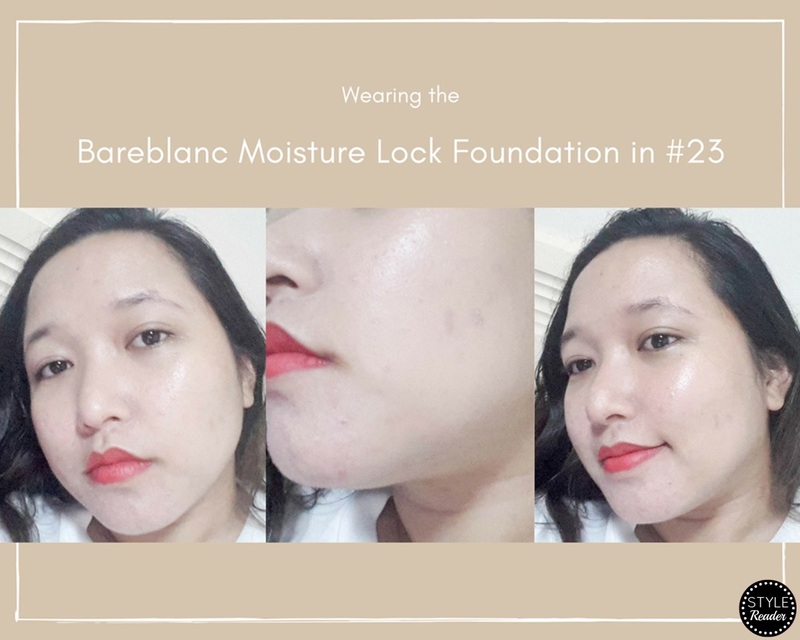 In order to fully show its effects, I wore the Bareblanc Moisture Lock Foundation only without a finishing powder or concealer. As you can see on the image in the middle it lightly covered some of my blemishes. Not that bad, right? It did brighten my face but it did not leave a white cast which is a good thing. I also did not experience any allergic reaction despite my sensitive skin. 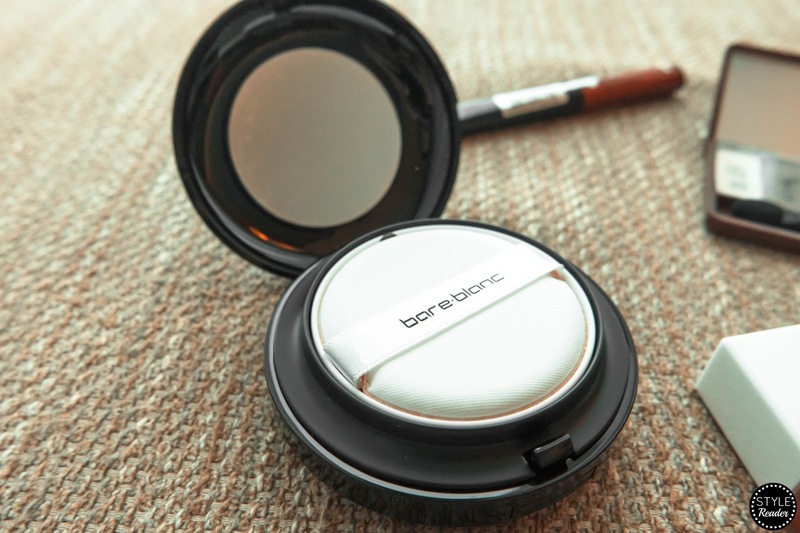 Make sure to just lightly pump the lid in the compact because just a small amount of this foundation can really cover the whole face effortlessly. I will definitely bring this on my trip to Japan this December. 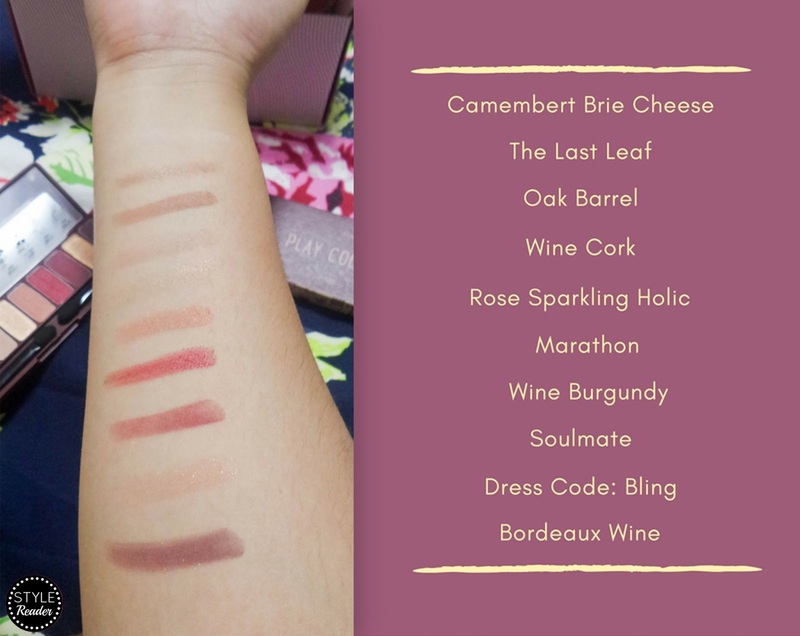 This palette contains pigmented and long-wearing wine-inspired eyeshadows that bring out sultry, romantic looks that are perfect to wear during the autumn, winter, and holiday season. 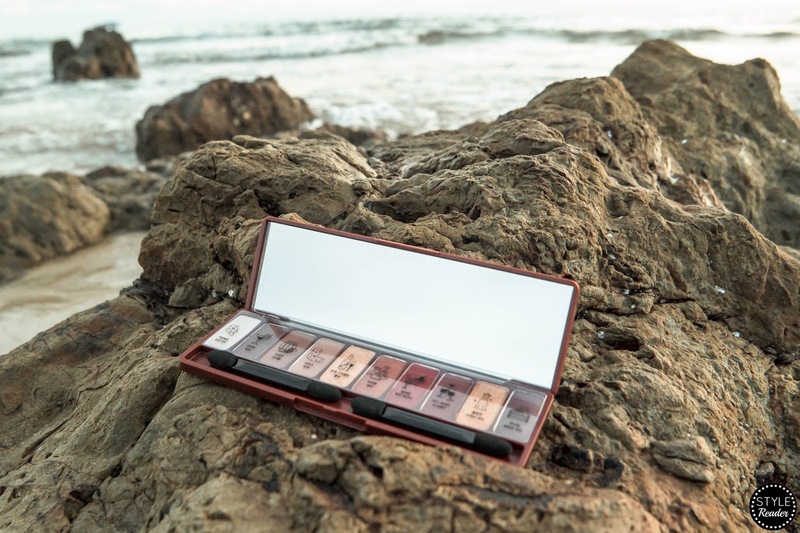 With just one palette, you can create a natural to a glamorous look. Plus, what I love about these matte and metallic shades is that they are all somewhat neutral so you can blend and match it to your mood. 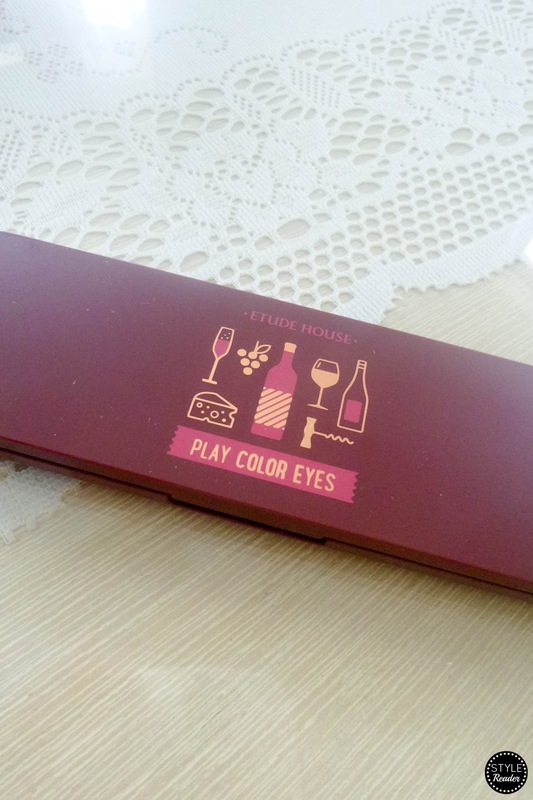 The wine party palette also includes 2 double tip eyeshadow sponge applicator. I applied the Wine Burgundy first on my lid. Then blended Soulmate and Bordeaux Wine on the edges. 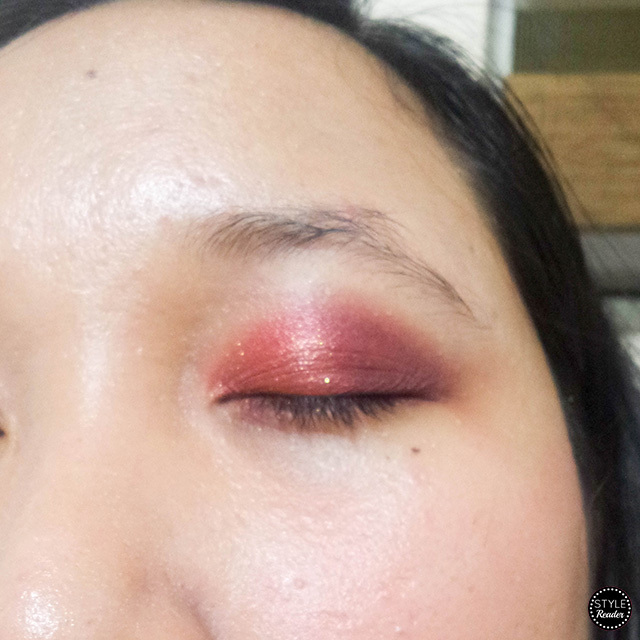 I topped the Wine Burgundy with the Rose Sparkling Holic to make it more glittery. On the edge of my nose and eyes, I applied Camembert Brie Cheese. 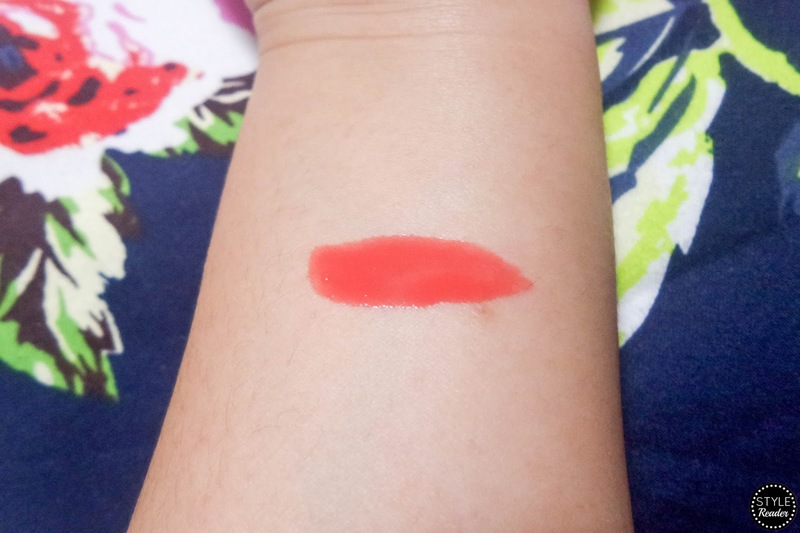 My verdict: It's really high-pigmented and definitely defines a little goes a long way. The shades are truly beautiful and I really love it. Even my sister did! The tint will remind you of a dusty rose that gives off a natural flush and perfect for everyday wear. The bottle is siksik (rich) and gives a generous amount. The product is also packaged using a capped container that prevents leakages. It has a lightweight, moisturizing, and water-like formula that blends out without leaving that sticky feeling. It reminds me of a nail polish but as noted on the packaging, it's for the cheeks and not for your nails. Just apply a dot on your cheek and blend away. It's really light and mas madali ma-achieve ang natural blooming look (easily achieve that natural, blooming look). I think if you add some more you can go for the drunk blush, too! A hid of warning, make sure to blend it immediately because the product is really fluid. 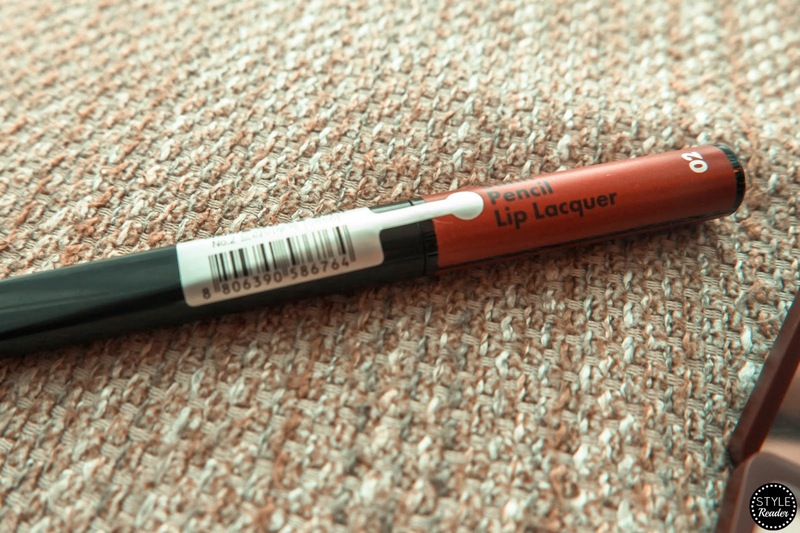 This lip lacquer includes a 3 mm ultra slim pencil tip applicator to create that precise gorgeous lip line. 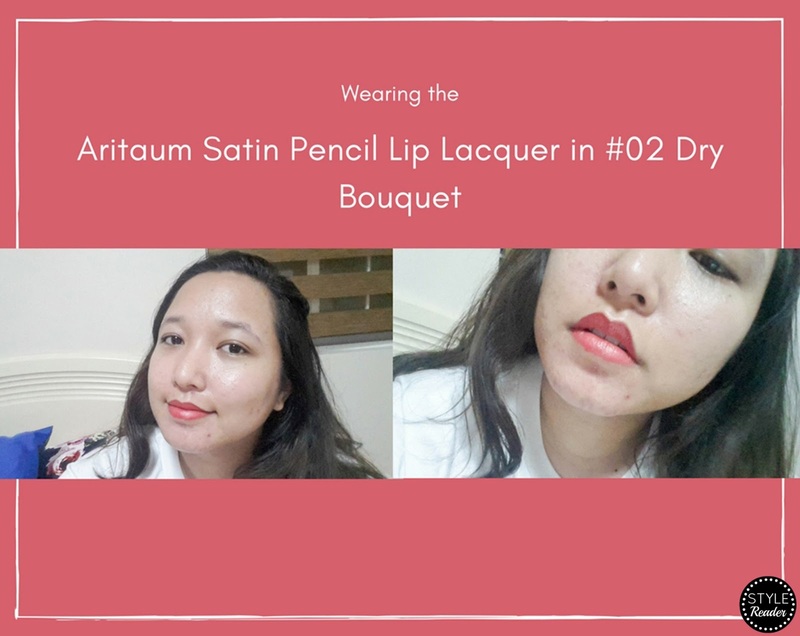 It's also infused with shea butter and jojoba oil which will moisturize your lips and at the same time, it makes the formula glide easily on your lips with a semi-matte finish. This lip lacquer has a chic, sultry dusty rose finish which can be worn during the day or night. 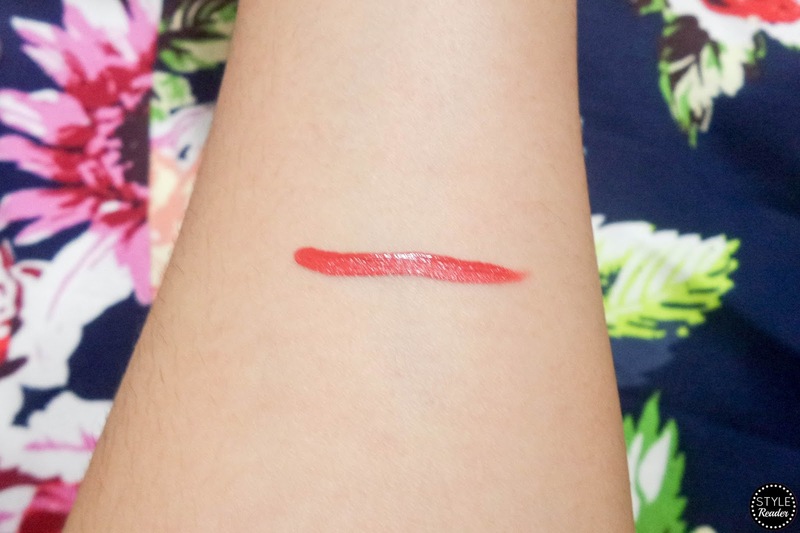 It doesn't feel too thick on the lips and it's very light. I wore it the whole night and it didn't make my lips dry which is a plus point for me. I'm not really a fan of matte lipsticks because I hate having chapped lips. 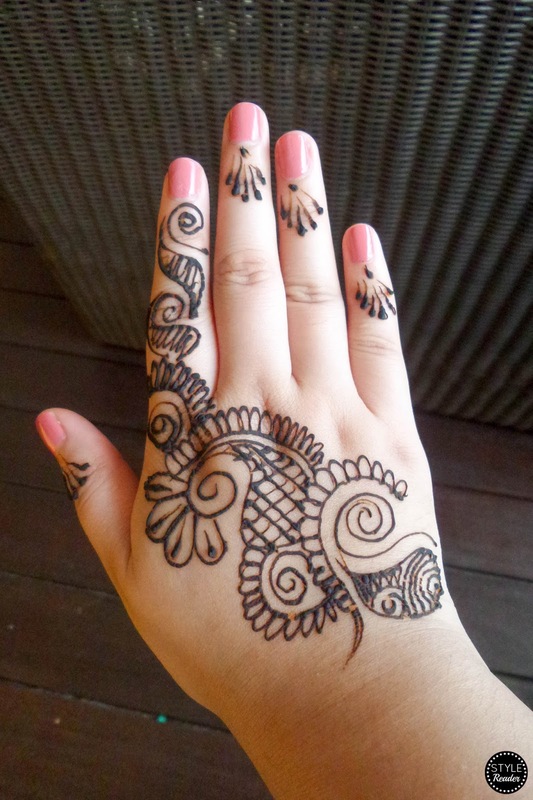 The shade is a romantic rose brown color which very well complements a Filipina's skin tone. 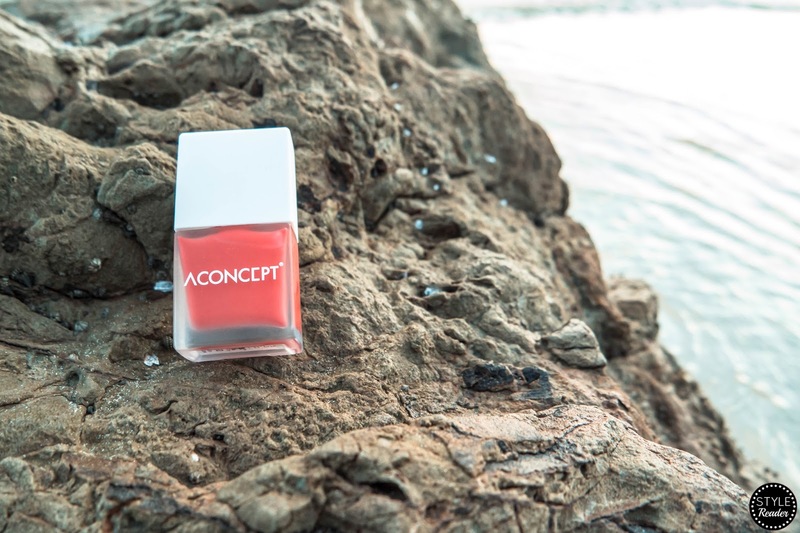 With this nail lacquer, you can get to experience the long wear and glossy finish of a gel polish without the hassle of a UV lamp! No need to go to the salon for it! 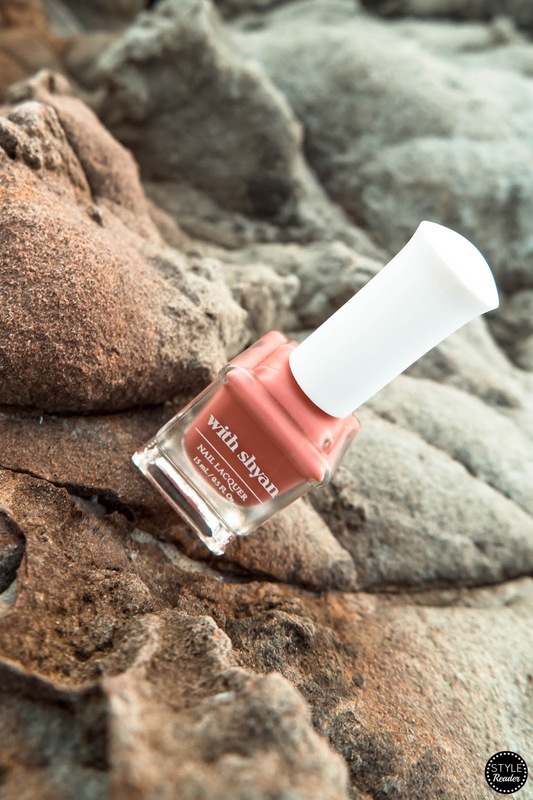 Since I attended a wedding, I had to rush and apply polish to my nails so it was really helpful that it dries easily and you don't have to put 3 coats just to achieve the rich shade you want. 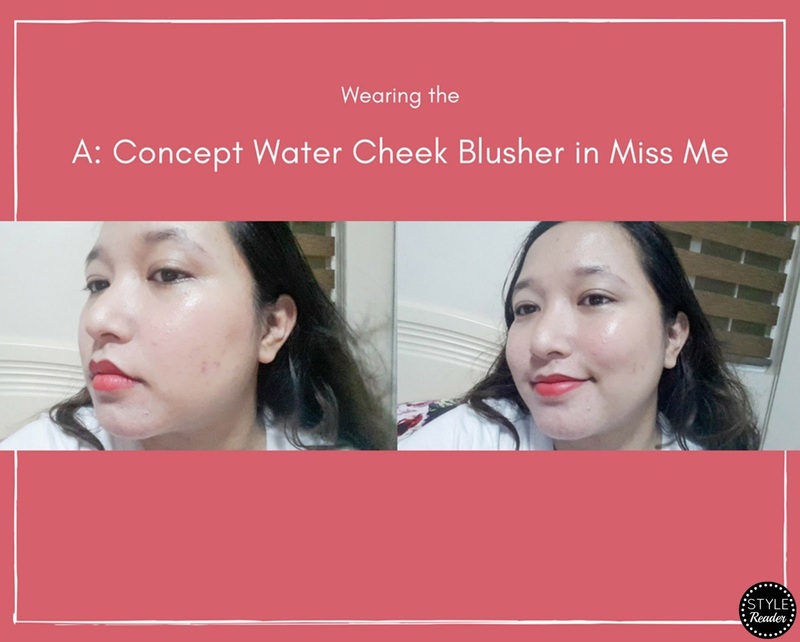 This is one of the most popular and most-reviewed product line of Innisfree. So when I saw that this is included in the box, I was so psyched to try it, too! It helps control excess sebum and minimize enlarged pores. 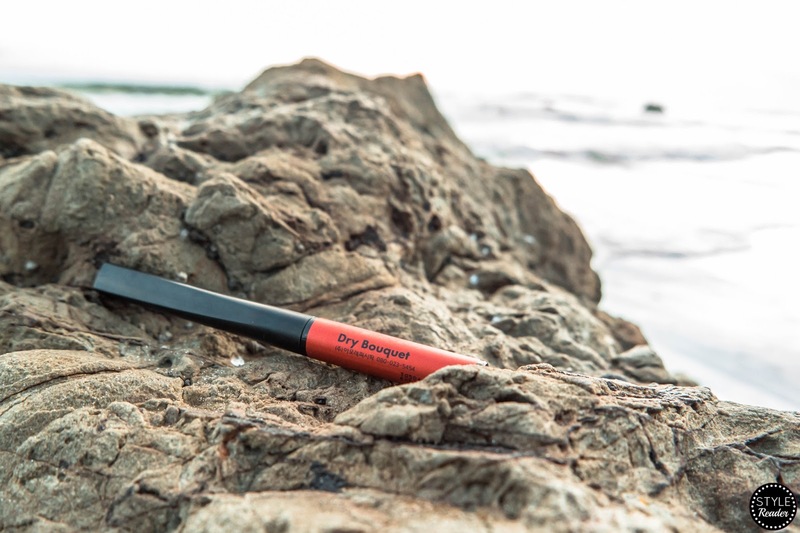 This is possible thanks to its volcanic extracts from Jeju Island. The cleanser has Jeju's super volcanic capsule that bursts which help in exfoliating away dead skin cells to achieve smoother skin. So that's it for now and I hope this article helped you discover new products. What are you waiting for? Check out Althea's new box this month today! Let me know your favorite product from this box in the comments section below!